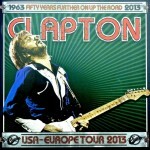 In addition to recent announcement of UK dates the first concert of the European Tour 2013 has been announced. The concert takes place at the Atlas Arena in ŁÓDŹ Poland. Tickets will go on sale on the 4th of October at 10:00 am local time via LiveNation.pl.